🤔 Are you thinking about that last embarrassing moment you had due to poor English Communication? Well, the good news is, you don’t need to worry about it anymore. EngVarta is a very simple solution to your English speaking problems. Learn and Practice spoken English with live English Experts anytime, anywhere on the Phone! Practice English with experts in your free time from anywhere over a phone. Just press the “Connect with Expert” button in the app and it will connect you with a random English expert across India. It is totally anonymous, so you don’t need to worry about your friends knowing about your secret English tuition classes. So, next time when you speak to your friends, surprise them with your improved English communication. How EngVarta can Help you to speak fluent English? EngVarta philosophy is to give you an environment similar to what you had when you were learning your native language – remember how easy it was for you to learn that language and you even mastered that language before going to school, without learning the grammar of that language. But what happens when you’re trying to speak English now, you’re too much focused on the rules & there is no practice. In contrast to that when you were learning your native language there were no rules & your brain was only doing 100% practice – listening, repeating and then talking. The struggle with English language is kind of similar to how when we’re trying to learn driving a car: at beginning you know how the car works and what you need to do to drive it but when you try, sometimes you accelerate too much and sometimes you couldn’t shift the gear at time and that is what’s happening with your English right now. However when you practice driving the car for sometimes- you feel no problem in driving because then you’re not conscious about it, it happens itself, easily like walking. Same way with regular practice & developing confidence you will be able to speak English like your native language. 1. Get comfortable ( nobody is going to judge you here now ). 2. Call Engvarta experts at your own schedule. 3. Listen to Call Recordings & Complete Assignments. Repeat this process daily to improve your English. Don’t fear about a grammatical error. Just speak up your mind and let your words flow without the fear of being judged by anyone on your English. Our experts will work with you 1 on 1 to improve your spoken English. 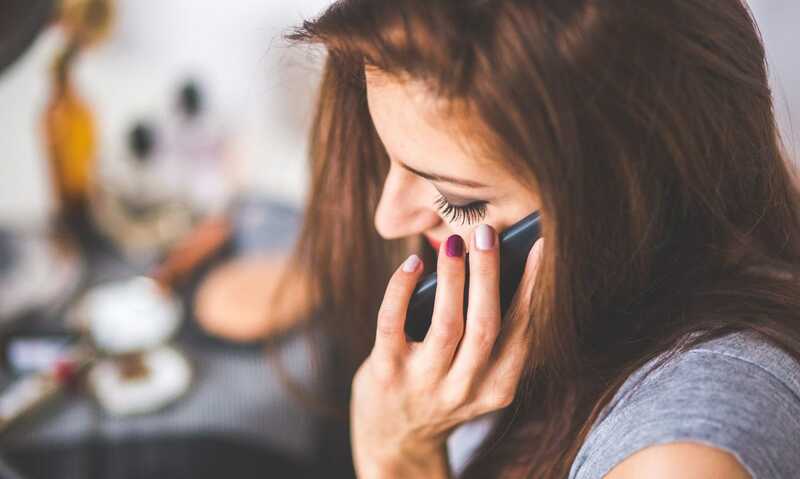 Connect with an expert on the phone and plan your 15-minute session according to your own schedule and time in the comfort of your home. Listen to your recordings as many times as you like to help you know your pronunciation mistakes. Ready to Improve your Spoken English? Very nice! Really helpful one.. I really love this app . The approach is very good and realistic . Learning and gaining confidence is really fun wit experts and their advice is really good . It was great but short ! Yes, we offer free trials almost all the times. When you signup you’ll find a section “Win a free Trial” – Just claim the Trial and begin your practice session with an English Expert. How do I connect with an expert? 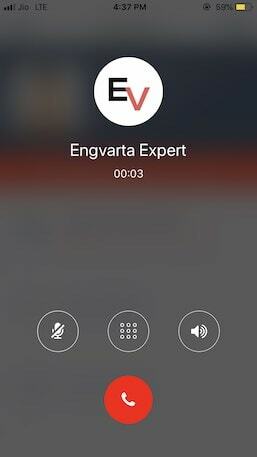 To connect with an expert, download EngVarta app on your mobile device and complete your profile. After that select a subscription plan that best fits your learning requirements. We recommend you to start with the smallest plan first. Once your account is upgraded, click on ‘Connect with Expert’ button in the app. 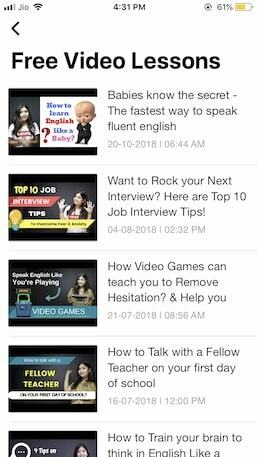 Can I record my English sessions on mobile? Every session with an English expert on EngVarta is recorded for you to listen as many times as you like to help you improve your pronunciation mistakes. Just click subscription plans from your dashboard screen and then select a plan that matches your learning goal. Press the Upgrade Button & Checkout using any of these available methods: debit card, credit card, UPI, bank, Paytm & other wallets. What is the best time to talk with an expert? You can connect with an expert at a time that best fits within your schedule. This is the reason, our service is available for you from 9am IST to Midnight. Whenever you are free, just click on ‘Connect with Expert’ button and start taking sessions. Can I connect with the same expert everytime? We understand it’s a human nature to build connections, but the purpose of EngVarta app is to not build connections but to improve your English communication. We want to make you communicate better and that’s why we connect you with a random expert every time. Talking with random people will help in improving your verbal communication skills. But you will be given an opportunity to connect with the same expert in case when your call gets disconnected in between the session or once your whole session is completed. Also, from ‘My Recordings’ screen, you can re-connect with the same expert again to practice English. What kind of process do you have for recruiting English experts? All our experts are excellent in English communication. We have a vetting process for all of our experts to ensure only the right and eligible expert gets connected with us. At TheTuitionTeacher.com (a unit of NGB EDUCATION PVT LTD), we have a pool of 45000+ tuition teachers. Out of which we hand-pick professionals who are experts in English communication. These are the teachers who are going to connect with you as an English expert here. What if the call disconnects between the session? Will I lose the whole session? Your calls are billed per minute. So, if due to any reason, your call disconnects between the session, you will only be billed for the minutes you actually spent talking with an expert on the call. You will not lose the whole session. Also, you will get an opportunity to connect with the same expert right after the call. We are keeping it anonymous because taking English classes can be embarrassing for few people. They do not want to go coaching classes because they’re afraid they will make a mistake or be laughed at. Also, they don’t want their friends to know about their English coaching classes. So for those people, EngVarta is the easy and safe way to practice English with experts. You just need to spend 15 mins every day with our experts and in next 1 or 2 months, you’ll feel better and more confident. The more you practice, the more you will gain confidence in your English speaking abilities. Why you are connecting me with random experts? Why I cannot speak with the same expert each time? Talking with random people is one of the best ways to gain confidence in speaking English. We connect you with random experts because we don’t want you to get comfortable in speaking with just one person only. We want to make your communication better by facing new challenges every day. Speaking with random people daily will build up your confidence and you’ll be able to communicate better. What if any expert calls me back and I missed the call? 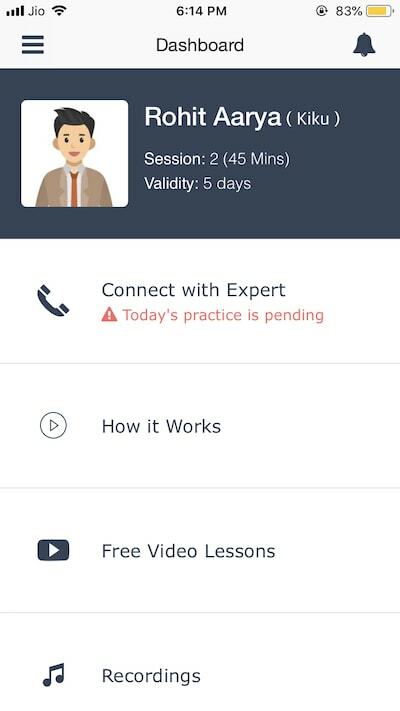 Don’t worry, whenever you’re available just call us back to connect with an expert for your practice session. 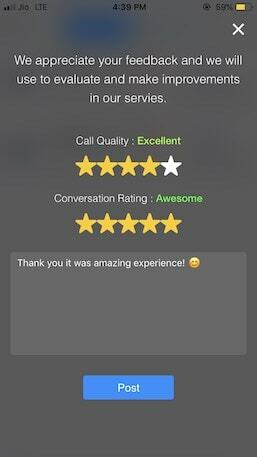 What is the star rating in ‘My Recording’ screen? 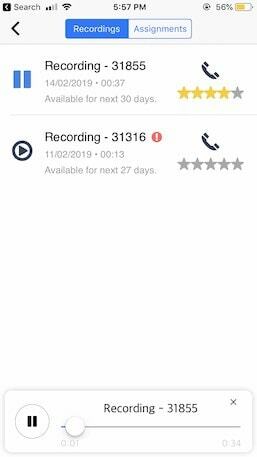 The star rating in ‘My Recording’ screen is the rating you have received from the expert on your English practice session. So, if you see your rating going higher, it means you’re doing good and making improvements in your English communication.